Think Outside the Brick is CMA’s annual holiday-season celebration of the creative potential of LEGO® bricks. 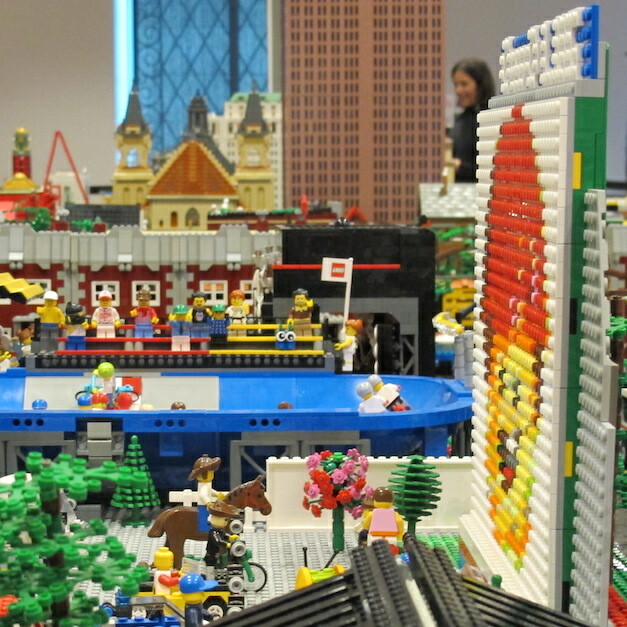 It a collaborative project with the Ohio LEGO User’s Group (OhioLUG) and highlights an enormous model of Columbus featuring familiar landmarks and imaginative creations, with new additions every year. Also this year, for the first time, members of Ohio Lego User’s Group (OhioLUG) are creating LEGO® holiday decorations in the Huntington Atrium. Visitors of all ages can compete in fast-paced creative challenges using LEGO® bricks. After each new round of competition, occurring every 30 minutes, prizes will be awarded to winning teams. Throughout December, stop by Open Studio any Saturday, 1:00 PM – 4:00 PM, and create your own inspired sculptures with LEGO® building bricks. Open Studio is included with general admission, no registration requested.